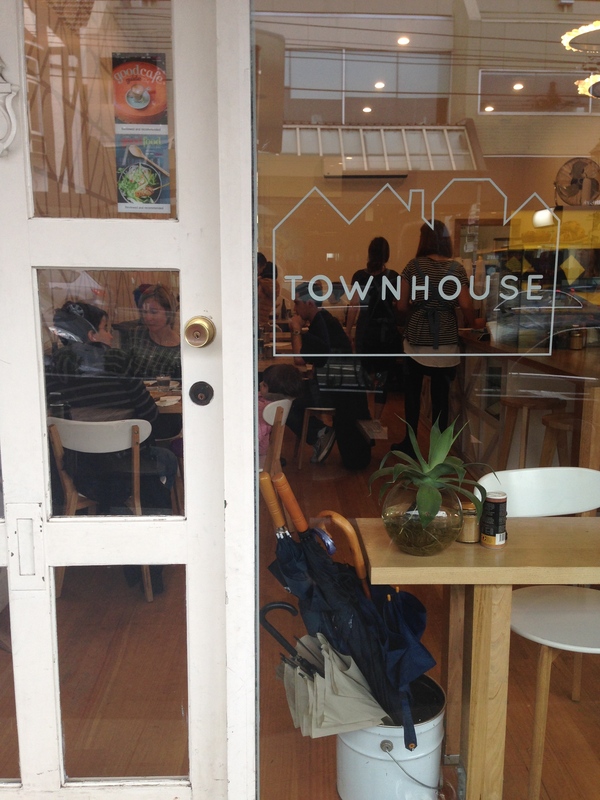 first impressions aren’t everything; but they do go a long way… which is why i was already optimistic about our brunch when i walked into townhouse this morning and immediately greeted with friendly smiles and hellos by two of the four staff. 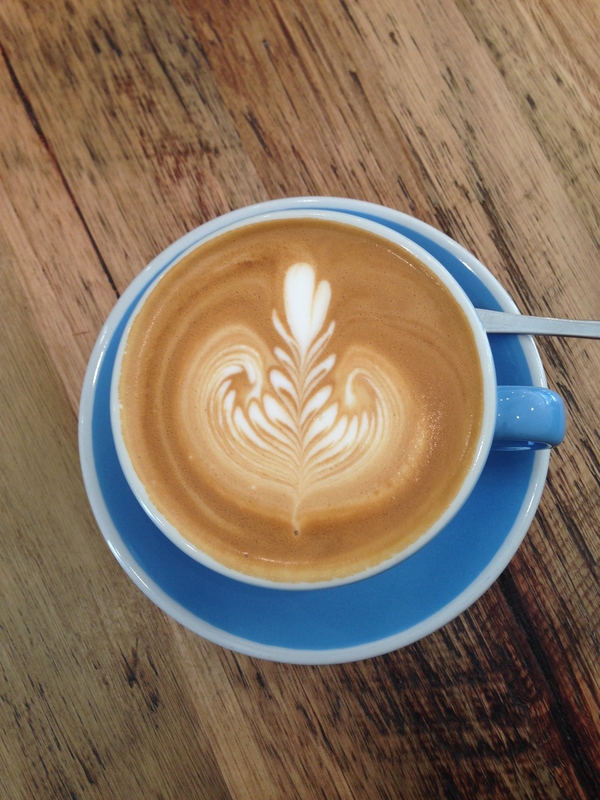 townhouse is a gorgeous light-filled cafe on toorak rd and the second venture of prospect espresso’s founders matt ward and mitchell haworth. the decor in this warm converted townhouse is crisp and clean with beautiful timber tables and high ceilings – a definite respite from the freezing sleet-like rain that was blanketing melbourne today. 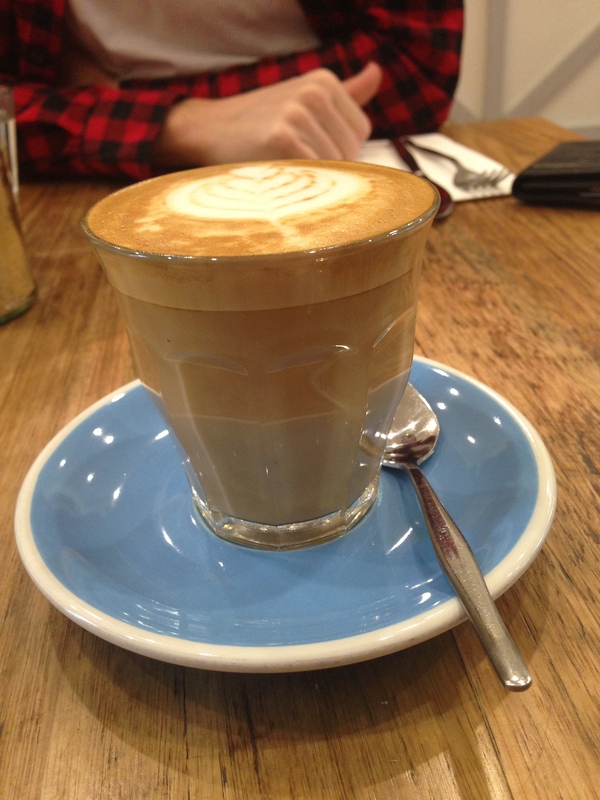 the coffee was mild, smooth and delicious and after watching the barista’s work i could see they take great pride and care in their quality. 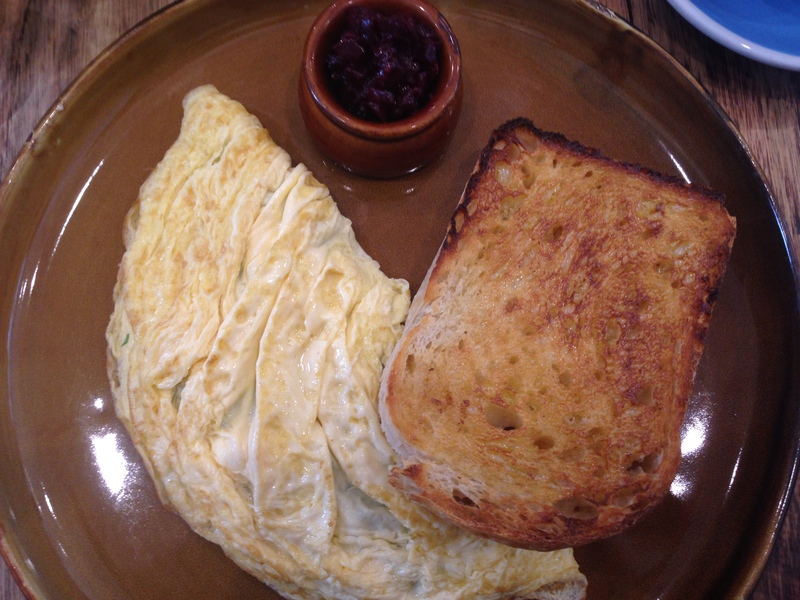 omelette with rocket, herbs + goats cheese with beetroot chutney + sourdough toast. perfectly fluffy omelette with a layer of herbs + strong delicious goats cheese in the middle. the sourdough toast was something special – thick-cut, soft and fresh and the beetroot chutney was incredible. the chutney tasted of star anise, an unexpected but delicious combination. poached eggs + bacon. my husband’s saturday morning ‘default’ breakfast, but delicious none the less. 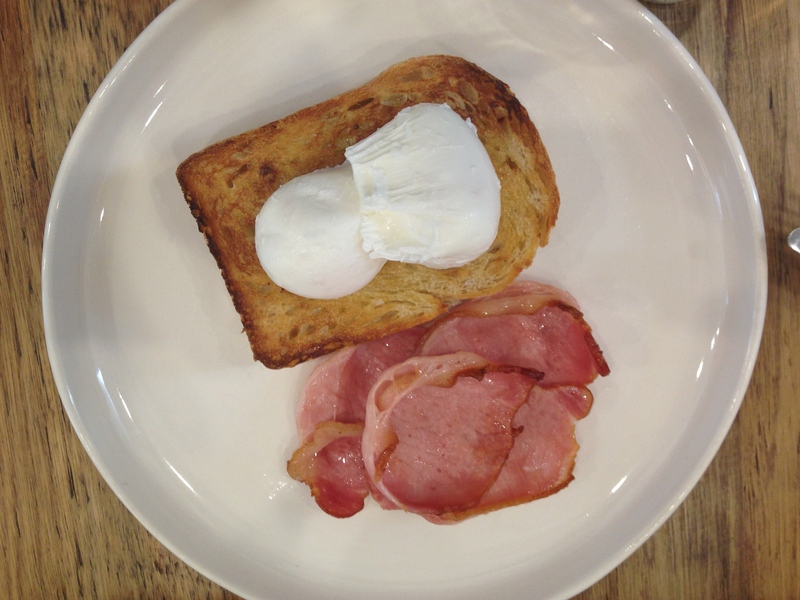 egg yolks were runny + the bacon was good quality aussie style. 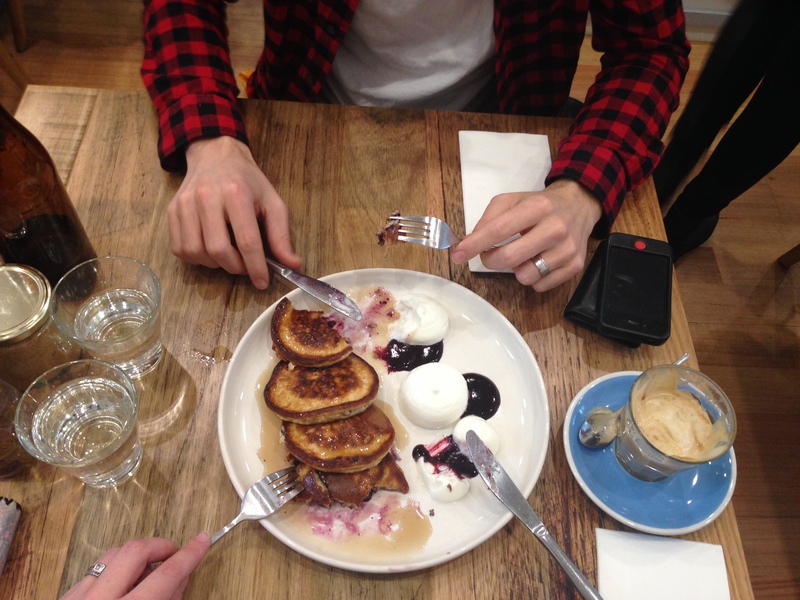 firstly, the pancakes were golden and crispy on the edges, filled with blueberries in the middle + overall really tasty. 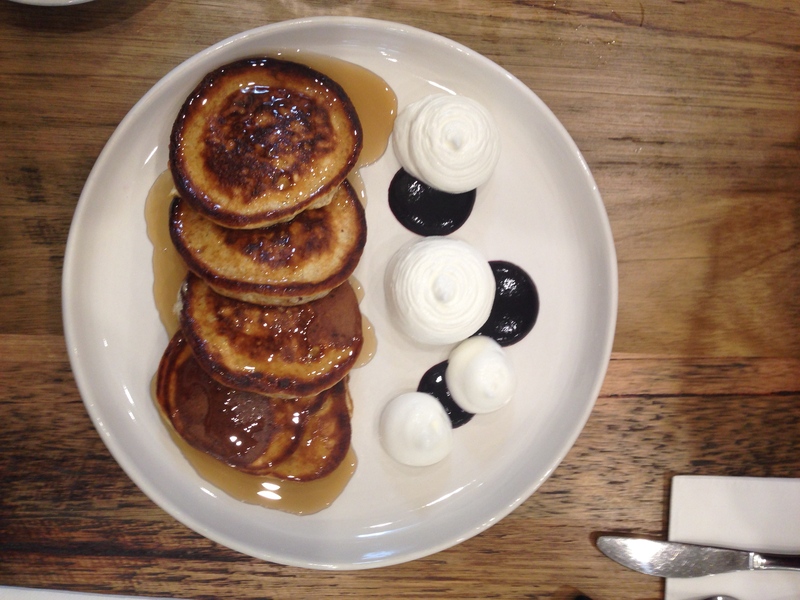 coupled with light and airy vanilla mousse + blueberry sauce – these were a perfect sweet end to a really enjoyable meal. throughout our meal the friendly service continued. 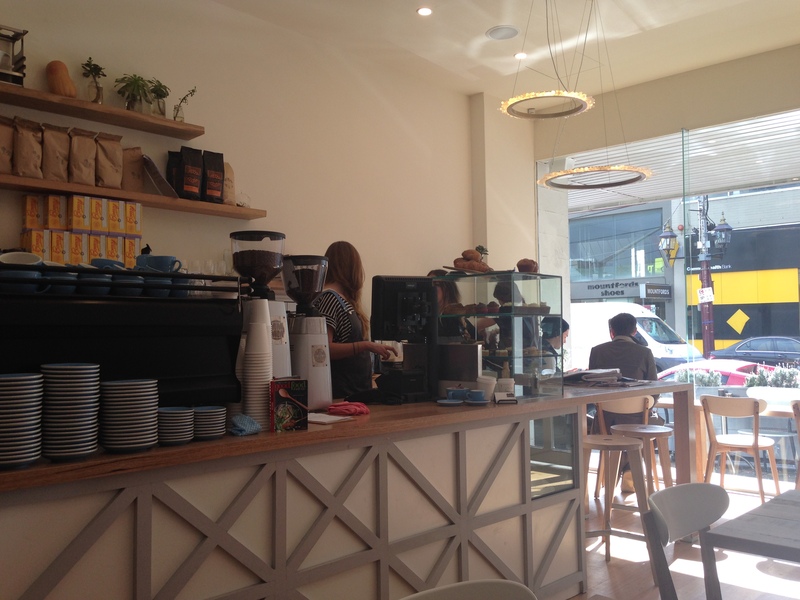 add to that the great quality food and coffee, this is a real find in the midst of toorak village.